I truly believe Terminix has done an excellent job in protecting my home. Your service person is the best. Great service my service Tech Kenneth Jacobs was awesome he went above and beyond during the service I would highly recommend him and his service work. Very convenient. No interruptions to us. They came did their job and left. Great service. I was pleased with the service on time told me what to look for good helpful tips. 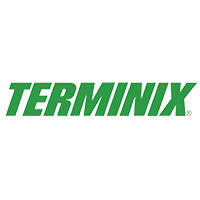 I am a NEW Terminix customer (less than six months) and I have been very pleased with the service I have received. The technician who has been to my house is very knowledgable, extremely conscientious, and does a great job. Very satisfied with our service calls; no complaints. The results of your first treatment was very much rewarding. I was very pleased with the result. been having very good service with Terminix after the few years with them . The service have been out standing with no complain. Friendly service. Great job done under the house with moisture abatement and also bug control in the yard, and around the house perimeter. Upset that you had to come back but the fact that you wasted no time correcting the problem and explained it all to us, I would use and recommend your service. Service person did a very good job. Was thorough, professional and personable as well. The technician was very polite. Have not seen many cockroaches since he came. Hopefully after a few more applications the cockroaches will be completely gone. I had the misfortune of living in an apartment complex that had a serious cockroach problem. When I moved into my new home, I brought the uninvited guests with me. It's embarrassing. I live in a home I had built, and it has a small cockroach problem. The service technicians who have came out have been amazing. The second service technician, Calvin Wilkins, exceeded my expectations. He was knowledgeable. He was extremely thorough. I am really enjoying the quality of service from the Terminex team. A long time customer with Terminix. Don't look no further, give them a call. My rental property was like walking into a horror movie after the evicting tenants. Never saw such a roach infestation before. I went back into the house two weeks after Terminix did their first treatment and the problem was 97% solved. I was able to clean and start preparing for a new tenant. Saw a few stragglers but they were gone after the second treatment. Service is excellent but need to get my services combined into one visit quarterly - pest control and termite bait station. would be easier to coordinate with pets. Representatives and workers were very courteous. I knew exactly what service I was getting because it was explained to me so I could understand. I’m very happy with Terminix. Terminix always does everything within it's power to comply with my wishes. If I see something I have a question about, all I have to do is call, and they will get back with me to answer my question or resolve a problem. Your employee named “Mr. Justin Joyner was a very good, respectful person towards us as customers. He always has the big smile on his face when working. He always does his job excellently. We hope that he will be the same employee of Terminix who will be assigned at our place and we do highly appreciate that. The next day after the terminix man sprayed our house for pest, they were dying.My husband and I are very please with the service. I will recommend this company to anybody who what what to get rid of unwanted pest. The technicians have always been kind, polite, on time and helpful. Tech explained services and was very helpful. Your Company has done what I asked and continue to serve with a Maintenance plan. Thank You. Great service! My renters are happy! The salesperson and the technician were great guys. They were on time and business like. The technician was friendly and gave me some good advice. Took care of some minor issues under the house. Very nice gentleman and wanted to answer all of my concerns. Pretty satisfied as a new Terminix customer. service men were very professional.They took care of areas inside as I requested,and sprayed outside also. I am pleased with services provided. love calvin! he's great; was able to make transition at my father's house with nick's help without a lot of hassle; scheduling easy and I am pest free :) I would give 5 stars if yard treatment was considered in plan without an additional fee and if snake treatment around perimeter was an option where I didn't have to figure out how to handle but overall very pleased. I was promised an associate would come by to leave some glue traps..still waiting?